If you’ve ever bothered to read my bio, you already know that I’ve been fostering for more than five loooonnng years. What it doesn’t say, is that I’ve been doing it all by myself for that time as a single guy. I’m surprised the author of that bio (hint: it wasn’t me) didn’t see fit to proclaim this to the world. As it turns out, I think I’m a bit of a unicorn. 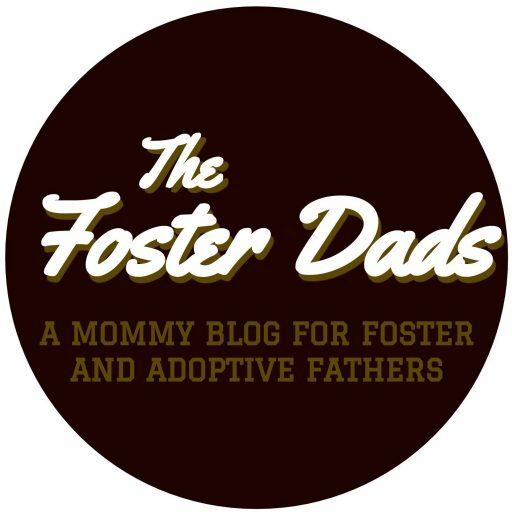 I have yet to meet, in person, another single foster dad. I’ve Googled a couple times and have found evidence that there are others of us out there, but everything I’ve seen is a few years old so I don’t know if they’re too busy being parents, or perhaps have committed by now. I’ve said in many contexts, “If I wasn’t laughing, I’d be crying.” There are so many circumstances that one will encounter that will be simultaneously frustrating and absurd. Whenever possible, I try to focus on the absurdity; this helps me maintain that sense of humor. For example, when it is 4:30 in the morning and I’m desperately tired and an 8-year-old is yelling “f*** you” at the cat and accusing me of eating dog poop and stale Doritos, I can choose to freak out and yell at the kid and make the both of us even more upset, or I can realize the absurdity of the situation and chuckle to myself and continue cleaning the kitchen. You may have noticed how I struck through the part about being a foster dad all by myself earlier but didn’t add a correction. That is because I believe that this may be the most important of all of the points. Because the whole thing can get so crazy and absurd at times, it is very important to have some people in your life who will allow you to gripe, cuss, and complain to. Just having someone who will listen to your crazy stories of “how both boys left the house at 11:45 on a Friday night with a friend, and when they saw the police cars at the house when they came back (I had no idea where they were or when they would come back and was required to report them as runaways) they snuck around the back of the house and slept in the doghouse the rest of the night” without judging your parenting abilities is so helpful. A community is useful for having somebody to process with, but also important in other ways. There will be times you just need a break–be it for an evening or for a few days. It can be difficult to find “respite” through the foster agency, so I’ve always recommended finding some friends or family who are willing to hang out with the kids for a while. In my state, it is a fairly simple process to get people approved with a background check; in other states the requirements may be a little more involved, so I suggest getting started on this right away. Think of friends, families, co-workers, or church members who may have an interest in participating in foster care but for whatever reason may not be able to become licensed. This is the perfect opportunity for them! Just ask. Even Superman has his Fortress of Solitude. There were times he was feeling overwhelmed with the weight of what he was doing and had to retreat to a quiet place for a little while to collect his thoughts. Luckily for me, having teenagers means I can allow them to play video games for a while without really needing to worry about their safety so that I can retreat to my “fortress.” Depending on my mood and how much I need to hide out, my “Fortress of Solitude” is usually either the garage or the back seat of my camper Bus. The bus is great for the times I needed to call someone without prying ears hearing, or when I needed to read something. I’ve even taken a short nap a few times. With younger kids, you may not be able to leave them alone safely, so you might have to enjoy your Fortress after they are in bed, or maybe you can send (or bribe) them to play in their room on their own for a little while. There is certainly something to be said for trying new things and realizing you are stronger and more capable than you think you are. And I firmly believe in the principle of Philippians 4:13 when correctly applied (in short, I believe what Paul was trying to say is that if God is calling you to do something, He will also see you through that thing, not necessarily that we can do whatever we want because Christ will give us strength). But I also believe that God lets us make mistakes and therefore it is wise to be careful in realizing what we can and cannot handle. Any parent is wise enough to know what is and what isn’t worth fighting over. And while it is wise to have rules and boundaries and all that stuff, there are probably things that you will simply have to let slide. Because if you don’t, you’ll have power struggles over small, nonsense things. My advice to you is to have some perspective on whether something is a big thing or a small thing and then let the small things go. Not everything is worth a fight that makes everybody upset. My theory has always been that if you choose to not make a big deal out of little stuff, then when something is a big deal, it is more likely to be respected as such. I get that a part of the foster parent’s job is to help get the kids to the myriad of appointments and visits and events and practices they will likely have. I also understand that the act of taking the kid to the appointments and sitting there with them through it can be helpful in building a bond and attachment. But it is almost impossible to do every single one because you also have to have a job of some kind unless you are independently wealthy. And Lord help yoou if they get suspended from school! So rely on the workers to help out with some of these things. That is part of their actual job that they get paid to do. You’ll probably get reminded that you signed up for this, but I say to push back on that a little bit. In 1 Corinthians chapter 7, Paul is writing about his thoughts on marriage, apparently addressing some questions he’d been asked. As a part of his thoughts, Paul mentions some benefits of being single, primarily the ability to focus on serving the Lord. Boiled down, Paul is saying that if you aren’t married, then you will have more time for serving the Lord in various ways because you aren’t spending that time worrying about your spouse. Even if what the Bible says isn’t your thing, it is pretty easy to see that if I don’t have to spend time worrying about my spouse, then I can spend that time doing other things. As far as foster care is concerned, as a single person, I didn’t* have to consider my wife and how things would affect her when considering whether or not to accept a child as a placement. In some ways, this opened me up to being able to take placements that I may otherwise not have been able to. For example, without a wife to consider, I was able to take a boy who had a very hard time with women and was incredibly disrespectful (to put it lightly) toward them. That may not have worked out if I were married at the time. All this to say, don’t let being single dissuade you from becoming a foster parent if you feel called to do so. There are certainly things you can do to help make it through, and there are certain strengths you can embrace as a single foster parent, too. If I could do it, so can you! *You may have noticed in the last section that I switched from present to past-tense. That wasn’t an oversight on my part. You see, I won’t be a single foster parent for much longer! In spite of witnessing some of the craziness first hand (and hearing about most of the rest of it) my girlfriend Katherine became my fiancée last Friday night! I’m grateful for the experiences I’ve had as a single foster parent, and am also grateful that soon enough, I’ll be able to do it alongside my beautiful bride-to-be.